Part 2 of my 2013 favourites features my most loved and used makeup. The majority of this I have been using for at least 6 months and I really do love them. I'm forever buying new makeup but these items have remained constant in my makeup bag. Lipsticks for £1, yep I did say £1! How can these be anyones favourites, they must be so cheap and rubbish? Well that's what I thought but how wrong could I be. 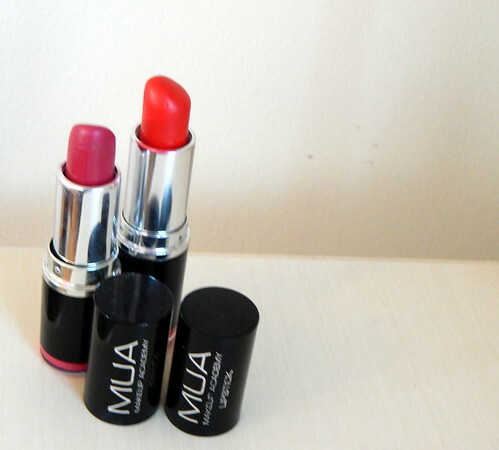 The formula of these lipsticks is ridiculous, they are so creamy and hydrating plus they last for ages too. They don't drag the lips when you apply them, however I do find the red (shade 13) bleeds quite a bit but I just use it with a lip pencil. Shade 4 is the nicest bright pink I own, it's so lovely! It applies like a dream and leaves an all over gorgeous pigmented colour. Shade 13 is a classic red with slightly orange tones. This is perfect for making a statement but like I said a lip liner is essential. On the flip side to Mua lipsticks, 2013 was also the year for my Mac obsession to begin. 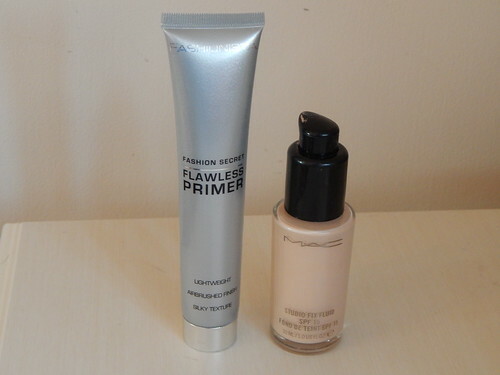 My first ever Mac purchase was the Studio Fix Fluid foundation and Vegas Volt lipstick. This is a bright orangey/pink and when I bought it, it was pretty much the only lipstick I wore. It is the perfect summer shade but I have also worn it in the winter too. 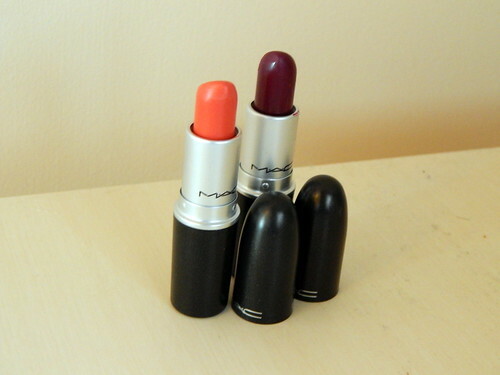 The lipsticks are just amazing, the formula and finish of all the Mac lipsticks I own are unbeatable. Rebel is a slightly newer purchase. Ever since I started watching youtube I've wanted this lipstick. It's like nothing else I owned and I just think it's perfect for all skin types. I love wearing bold colours so this is perfect for me. The thing I like about Rebel is that it's really wearable, it can be applied quite sheer or built up for a more bold look. I bought this mascara way back in January 2013 and it's constantly made its way back in to my makeup bag over the months. Whilst reading reviews of this before I bought it, I was worried that it would be one of those mascaras that dry up after a month, well it's certainly proved me wrong. 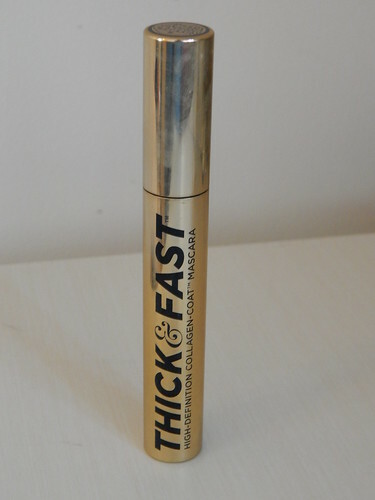 I love how volumising this mascara is as well as lengthening. It applies perfectly, without clumping and coats each individual lash with the right amount of colour and thickness. I literally cannot imagine my makeup being complete without this. I've flicked between this and Benefits They're Real but always come back to this. On to base products. I've never been a big fan of Primers, I was worried that they would clog my pores and break me out. Then I find this £3 bargain from Mua, i've reviewed it in detail here but basically it's amazing. My skin feels super smooth and my makeup lasts longer with this on. My first 'high end' foundation and a central piece of my makeup routine. I love the coverage and the finish of this foundation, it's high coverage but doesn't feel heavy on the skin. It's also really long lasting which makes it perfect for all day wear and nights out. At £21.50 it is pretty expensive but i've had this bottle since May and it still hasn't run out. 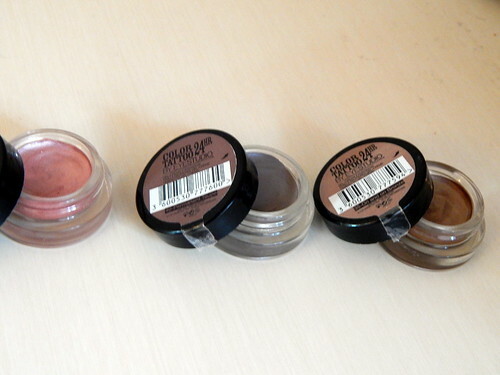 What would a beauty bloggers favourites be with the ever famous Maybelline Colour Tattoo's. I currently have three shades but i'll definitely be expanding. They are the perfect base shade for a dramatic eyeshadow look but they also look perfect on their own. Pink gold is gorgeous and looks especially lovely blended with the majority of the Urban Decay Naked 3 Palette. Permanent taupe is a gorgeous matte brown shade and On and On Bronze is my favourite shade, perfect for wearing on its own. 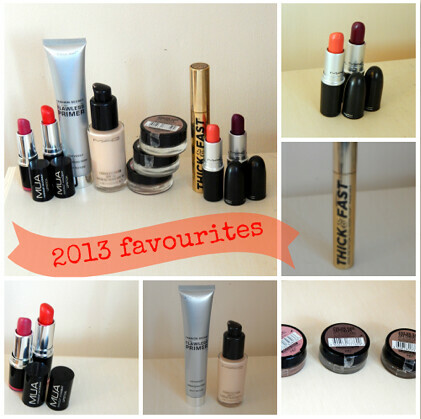 What have been your 2013 makeup favourites? Great blog dear, I'm following you. If you what you can check out mine!